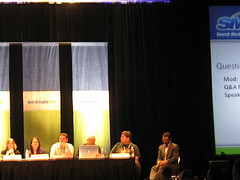 Answering any and all questions from the audience, SEO Greats give their insights and offer their advise on many issues ranging from Blogs, to Duplicate Content, to Foreign Language sites. 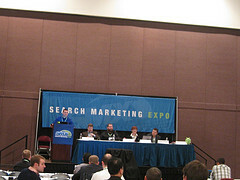 Here are a few of the highlights that Danny Sullivan, Greg Boser, Vanessa Fox, Todd Friesen, Aaron Wall, and Jill Whalen discussed at the 2010 SMX West Conference in Santa Clara, California. Beware of Duplicate content of any kind on your website or Search Engines will drop your site from search engine results. Be particularly aware of duplicate content in Title tags. There is no importance in the length of blog posts. The post should be as long as it needs to be to get the point across. Blogs are typically found for long tail keyword phrases, targeting the blogs more for readers than the search engines. Therefore your blog is not likely to rank high for those competitive keywords. For lengthy blog posts, submit these posts in parts, by day. For example, Part 1 today, part 2 tomorrow. Ensure you include the foreign language sites or pages in the correct Webmasters for that country or language you want that site/page to show up for. Redo the keyword research for that language then base the content on those new keyword phrases. Remove the Wildcard DNS from your domain name. Youtube is #2 Search Engine in the U.S. Put video on website and do a video sitemap OR Embed your youtube video on your site and optimize that page’s content. 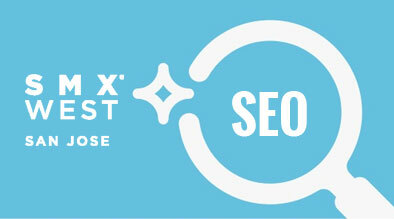 Many of these tips and tricks provided by Danny Sullivan, Greg Boser, Vanessa Fox, Todd Friesen, Aaron Wall, and Jill Whalen will help further optimize your website.